Nobody could match Joaquim Rodriguez on the two-kilometre wall up to the finish at Mirador de Ezaro as he won stage 12 to extend his Vuelta lead. After limiting his losses impressively and keeping his lead by a second in yesterday’s long time-trial, his weakest point, Rodriguez put the accelerator down on this better-suiting brute, a viciously-steepening climb in Galicia. Escaping with a kilometre to go with closest rival Alberto Contador, the explosive Katusha climber blasted away on the 20% gradient with 500 metres to go and distanced him. 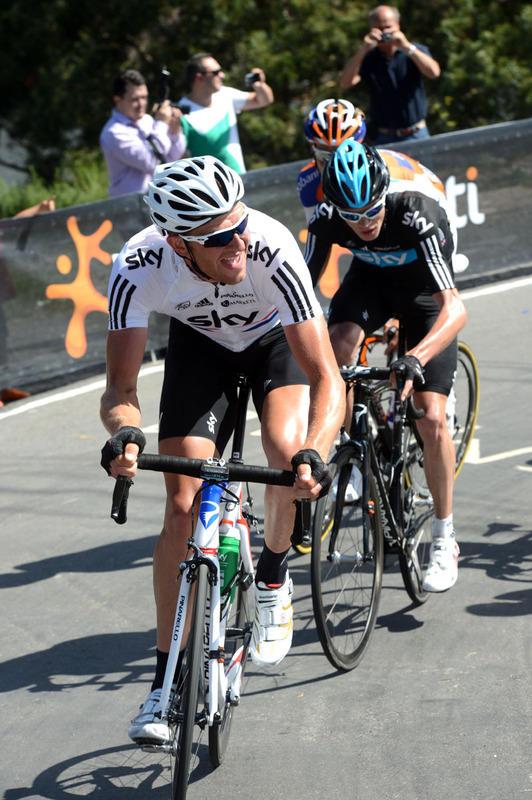 Chris Froome (Team Sky) recovered to finish fifth after losing position, though he dropped 42 seconds to Rodriguez. The stage opened with a an eyeballs out 80 kilometres. Several unsuccessful breakaway compositions shoot out and drift back into the bunch until the right mix clicked. Mikel Astarloza (Euskaltel-Euskadi), Amael Moinard (BMC), Kevin De Weert (Omega Pharma-Quick Step) and Cameron Meyer (Orica-GreenEdge) escaped. During the comparative lull behind, Team Sky suffered a blow as Froome domestique Xabier Zandio crashed and abandoned the race. The chasers rallied along the rugged Galician coast as Movistar and Katusha rode hard to the foot of the final climb to close the gap to below a minute. 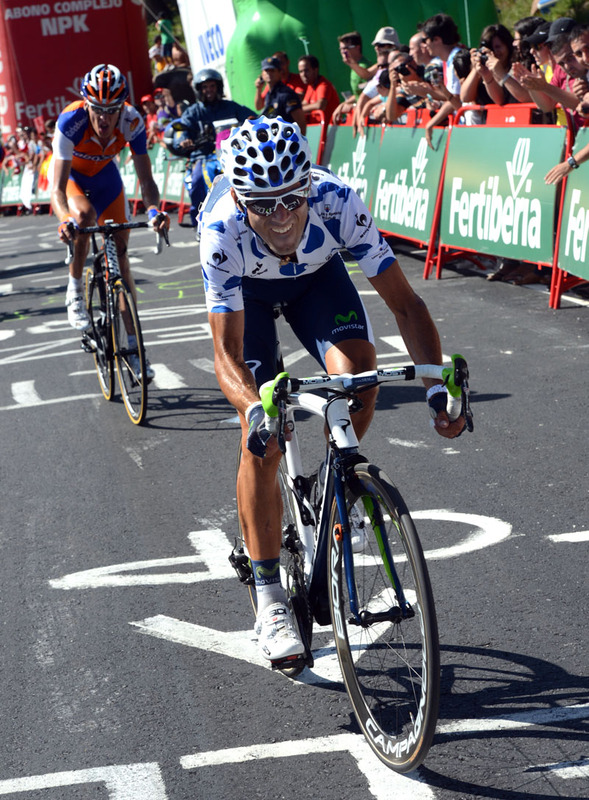 Hitting the narrow slopes, Astarloza survived the longest, before he, Meyer and late attacker Igor Anton were caught and spat out by Rodriguez and Contador’s move. The climbing continues on Saturday in stage 14, with a mountain-top finish on the first-category climb of Puerto de Ancares. Tomorrow the riders face a flatter day between Santiago de Compostela and Ferrol.